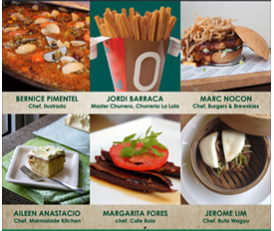 Thought Peek: Head to BGC tomorrow for the McCormick Flavor Nation Festival! 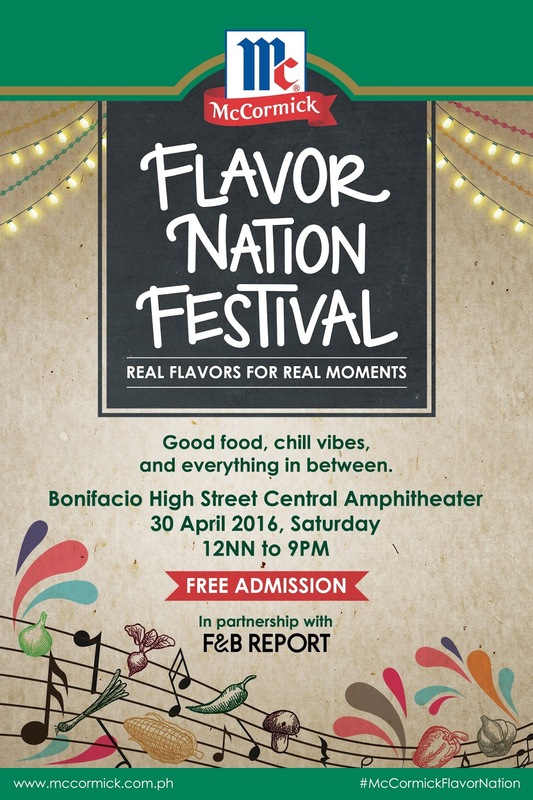 Head to BGC tomorrow for the McCormick Flavor Nation Festival! I was looking for something to do this weekend when I chanced upon this event, McCormick Flavor Nation Festival to be held tomorrow, April 30 from 12nn to 9pm at the BGC High Street Amphitheater. The event will feature McCormick's newest noodle seasoning mixes for Palabok, Chap Chae, Pad Thai, Birthday Noodles and Pad Thai. Admission is Free. The Festival will be hosted by Sabrina Artadi of Sabrina's Kitchen and will be headlined by famous Chefs including Marc Nocon of Burgers and Brewskies, Bernice Pimentel of Ilustrado, Jerome Lim of Buta Wagyu, Jordi Barraca of Churreria La Lola, Aileen Anatacio of Marmalade Kitchen and Maragarita Fores of Cafe Bola. In addition to great food, artists will be featured in the event including Basti Artadi, Keiko Necesario, Paranpid City, Fools & Foes, The Sun Manager and Resse Lansangan. So I guess, we'll just see you there! For more information, check out this FB event.